Cannon Collision located at 27 1st St is the best auto body and collision shop in Hicksville NY. We have been in business over twenty years and have been serving the Hicksville community for all their auto body and collision shop needs. Located in the Robert Chevrolet complex, Cannon Collision has continued to give back to the Hicksville NY community by offering the best customer service experience to all their auto body and collision shop customers. Simply, this is why they are the Best auto body and collision shop in Hicksville NY. They can be reached at 516-221-9393, so if your in need of an estimate for auto body and collision related work give them a call today. 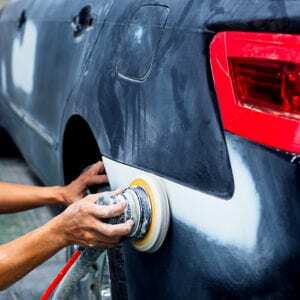 We offer auto body and collision repair services, custom body work and paint, auto glass repair, dent removal, detailing, aluminum wheel repair, even mechanical repair services. More importantly something we have seen many customers take advantage of is our “Lease return special” Returning your leased vehicle can be a hassle if you didn’t properly maintain the vehicles appearance. Cannon Collision offers our customers a “Lease Return Special” which will ultimately save you money and a headache upon returning your vehicle in from your lease. Inquire with us today about a free estimate on getting your vehicle up to the condition it needs to be in for you to return it with out penalty, we will be glad to give you assistance. The Hicksville location at 27 1st st, Hicksville NY 11801 and our Bethpage shop is located at 414 N Wantagh Ave, Bethpage NY 11714. They can be reached at 516-822-9500. Both shops have state of the art equipment, certified staff and excellent customer service. Just read our reviews on google to see what people are saying about Cannon Collision. Here is a sample of some of those reviews regarding the best auto body and collision shop in Hicksville and Bethpage. So if you’ve been in an accident and your looking for the Best auto body and collision shop Hicksville NY, look no further than Cannon Collision. Remember the insurance company doesn’t pick your body shop, you do! Call us today at 516-221-9393 or 516-822-9500 to get started.